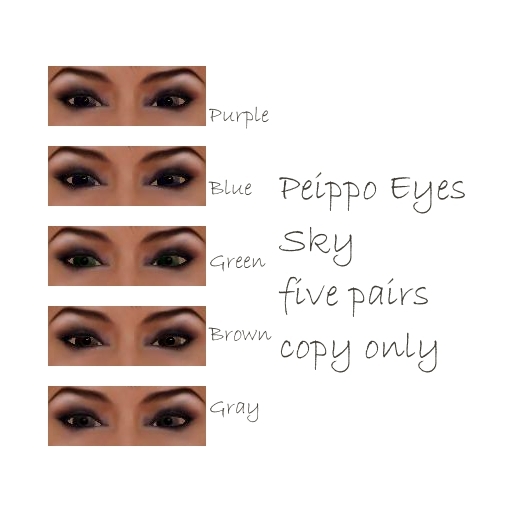 New release: Peippo Eyes: Sky. Five pairs in the pack, 50 lindens. Get yours at Peippo Mainstore. (New location, general sim).